Chinese decent Miss World Canada Anastasia Lin, is not able to attend Finals because of her exposing the Human Rights breach by the Chinese Government. Anastasia Lin’s, US-Congressional stance in defence of the 100 Million practitioners of the FALUNG GONG Spiritual Ideology, results in visa denial for her Finals in China. Many persons familiar with the International Politics who watch from far away the unusual harsh treatment of the followers of the FALUNG GONG Spiritual Practice in China, are baffled by the inhumane and even fatal manners by which the Chinese Communist Party (CCP) treats the members of the practice which is also known as FALUN DAFA. To people in the Western Societies, it is not even comprehensible as to why such a mighty Regime has come to wage a full scale clandestine war against participants of a Peaceful ancient Gentle practices, which looks like a “group meditation” endeavour that many North Americans once in a while see being practiced in parks. The question for the non-Chinese person is, why a mighty “Atheistic” government such as China is so much apprehensive and non tolerant of a seemingly Yoga-Type practice of its citizens which also most of its participants seem to be of the aging senior sector of the 1.5 Billion nations? Dictator regimes World Wide, are most worried and suspicious of any cause, or practice which results in the “people gathering together and have meetings”. When people come together under the banner of any form of ideology, the mere act of of meeting with one another, results in the exchange of Information and in fact the word “meeting” in many of the languages denotes “getting together to oppose an undesirable Regime”.. In oppressive regimes, the Media particularly the journalists are viewed as the “arch enemies” of the state and become the prime victims. People disappear overnight and great effort is exerted to hide the extent of the governmental atrocities and to blind the citizens. At the same time State Run media feed people with false and fabricated news. For example while the “free world” people know a good deal about the massacre at the famous Tiananmen Square, and the horrible images of tanks running over the people, still many of Chinese citizens inside the country are prevented from knowing details. When citizens gather and meet, there is also a transfer of the news, and that is one of the main reasons that oppressive regimes in many cases forbid getting together of more few persons at an appointed time and location. CCP in China, Anastasia testified at the U.S. Congress Executive Commission against China for the Breach of Human Rights in many areas, in particular for the atrocities the CCP commits on daily basis against the people participating the Traditional Spiritual Falung Gong Practitioners, who unlike the Atheist Regime members, believe in the existence of “a Universal Power Greater than Ourselves “. Father threatened – Visa Denied for Final Contest It was only a short time after Anastasia won the Miss World Canada title, that she received a call from her father in China. The scenario for such calls are the same Word Wide for all oppressive Regimes, and no different for the family members of the activists in China or in Egypt. Anastasia’s father was visited by the Secret Police, and we know the rest of the story. However, In Anastasia’s case there was also another price to pay if she did not keep silent. The Finals for Miss World pagent are to be held in” Hainan Island” of the China, and Visa was denied for her only ! We all can guess how dear of a price that was for a young aspiring girl, surly a lot. Anastasia has shown to the World that she is not just a Beauty Queen, but is also a Queen of Principals. No, the CCP with all its might, could not break the strong will of this seemingly fragile young woman who has tasted the fruits of the freedom, and the Individuals Rights through the years of living in Canada. From what the Chinese Press in Diaspora has written about Anastasia, this young lady is truly touched by the immence Chinese ancient culture and its exceptionally high spiritual values. Anasatsi believes in the Inner beauty and” the peace within” and the treasures in the ” Confucianism’s Teachings “. She is vocal about actions of the Chinese Communist party which tries to turn the country’s traditional values into tools to mislead their citizens. What the Association of North American Journalists and Writers ( Canada ) has found most valuable and touching in Anastasia Lin’s story, is the effects that” one person” can have, even if it seems minimal, in changing the” Statues que” – One Step at a Time. BAGHDAD, Dec. 15 (Xinhua) — A total of 29 Iraqi journalists were killed in the violence-ridden country in 2015, many of executed by the extremist Islamic State (IS) group, an Iraqi journalists’ body said on Tuesday. The latest body’s count brings the death toll of journalists in the country to 435 since the U.S.-led invasion in 2003. “There is fear for the safety of the Iraqi Journalists, who are still vulnerable to more attacks in the absence of the rule of law and ignorance of some government departments for the positive role of the press in correcting the courses of the political performance as well as detecting errors,” said a report by the Iraqi Journalists’ Syndicate. The report showed that IS terrorists executed 20 in and near the IS-held city of Mosul for different motives during the year, and three others were killed while covering battles against the IS extremist militants, while six were killed in the almost daily violence in Baghdad and Iraqi cities. According to the report, more than 43 offenses had been registered against the journalists during the year, ranging from abduction, beating and raids on their headquarters and houses to prevent them from reporting. Such killings and other offenses came despite some positive indicators in general, like increasing confirmations by Prime Minister Haider al-Abadi toward rejecting any kind of offenses against journalists, and his orders to set up investigative committees to follow up any offense that might happen against journalists and media outlets, it added. Observers blame the current chronic instability, cycle of violence, and the emergence of extremist groups such as the IS on the U.S., which invaded Iraq in March 2003 under the pretext of seeking to destroy weapons of mass destruction (WMD) in the country. Associated Press: The group, which calls itself Raqqa is Being Slaughtered Silently, says Ahmad Mohamed al-Mousa was killed in the northern province of Idlib on Wednesday by unknown masked assailants. The group, based in the northern city of Raqqa, reported al-Moussa’s assassination through its Twitter account without providing more details. Several members of RBSS have been killed in the past. In October, a founding member of the group and another Syrian activist were found slain in southern Turkey. The group blamed IS for the killings. The New York-based Committee to Protect Journalists, which honored the group last month with its 2015 International Press Freedom Award, condemned al-Mousa’s murder. A Danish government proposal to seize assets of asylum-seekers to make them pay for their keep has drawn sharp criticism in international media. Integration Minister Inger Stoejberg said police should be allowed to seize valuables to make them pay for housing, healthcare and some education. She likened migrants to jobless Danes who must sell assets above a certain level to claim benefits. Vox described the plan as “cruel” and the Washington Post, “extreme”. Denmark expects to receive around 20,000 asylum seekers this year alone, compared to 15,000 last year, the integration ministry told BBC News. It further expects about 25,000 next year. Both the ruling centre-right Venstre party and the right-wing, anti-immigration Danish People’s Party back the bill, meaning it should pass by February. Ms Stoejberg said wedding rings, watches or items “with a sentimental value” should not be taken. Denmark’s integration ministry said in a statement that the bill provided the authorities with the “power to search clothes and luggage of asylum seekers – and other migrants without a permit to stay in Denmark – with a view to finding assets”. The future law will only apply to cash worth more than 3,000 kroner (£292; 402 euros; $436) and “tangible assets of a considerable value”. “Asylum seekers generally do not arrive in Denmark with large amounts of cash and jewellery,” he said. The new government has promised to get tough on immigration since its election in June. It has already slashed benefits for new arrivals and restricted the right to residency. Thousands of refugees and other migrants have arrived in Denmark this year, many of them in transit to Sweden, after arriving illegally by sea in southern Europe. CBC: After six years of travelling the country to hear testimony from 7,000 witnesses about their experiences at residential schools, the Truth and Reconciliation Commission wraps up this week in Ottawa. The final event kicked off yesterday with thousands of people participating in a reconciliation walk through the nation’s capital. The summary of the commission’s report will be released Tuesday. “I never, ever envisioned that this would happen, that thousands of people would gather to give expression to the idea that we are … all one,” said Chief Robert Joseph, ambassador for Reconciliation Canada and a member of the National Assembly of First Nations elders council. When the commission began in June 2010, there were high hopes it would help repair the relationship between aboriginal people and the rest of Canada. However, as the TRC winds down, many seem conflicted about the state of reconciliation in Canada. About 150,000 children attended residential school over more than 100 years, starting in 1880s until the last school was closed in 1996. Many students as young children were forcibly removed from their families and sent to the schools to live. The commission heard thousands of statements about their experiences, which often included emotional, physical and sexual abuse. Viv Ketchum, a survivor who travelled to Ottawa to attend the final TRC event, was hopeful after hearing Prime Minister Stephen Harper’s apology in 2008, but has since been disappointed by the process. Some of the truths about residential schools uncovered in the last six years include horror stories of homemade electric chairs, malnutrition experiments and the deaths of more 6,000 children. 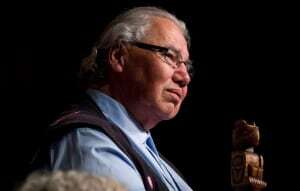 Justice Murray Sinclair, head of the commission, said that number is likely higher. Sinclair will release a 300-page executive summary of the final report on Tuesday. “The report itself — just by its size alone — is going to document as full a story of residential schools as has ever been documented in the past.” Sinclair told CBC News last week. Last week, Supreme Court Chief Justice Beverley McLachlin also said Canada attempted “cultural genocide” against aboriginal people. It’s a term some residential school survivors themselves used when giving testimony about the abuse they endured in the schools. A volume of survivor testimony will be released in the final report, which will eventually contain six volumes and approximately two million words, according to Sinclair. Vivian Ketchum has never told her full story at one of the national events. It is too painful for her to recount. 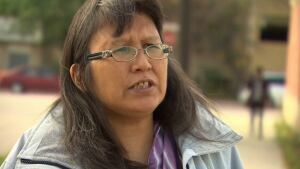 She hesitated travelling to Ottawa to take part in the final event, but said she came to honour her ancestors. “A lot of open wounds. A lot of memories are just coming back to me right now, some that I didn’t even know were there,” she said. “I think it’s extremely important that somebody of my position doesn’t engage in the electoral processes of another country”, Trudeau cautioned. Fear doesn’t make us safer. Trump, the boisterous businessman who is leading in the polls among candidates for the Republican nomination, has attacked immigration and suggested that Muslims be barred from entering the United States. “I don’t think it comes as a surprise to anybody that I stand firmly against the politics of division, the politics of fear, the politics of intolerance or hateful rhetoric”, he said. “Painting ISIS and others with a broad brush that extends to all Muslims is not just ignorant, it is irresponsible”. “If you want to serve Canadians well… you have to listen to them, you have to get to know people, you have to be engaged in real conversations and talking about their hopes and dreams for the country”, he said. Trudeau dismissed criticisms from both journalists and the public that his governing style is soft-spoken and relies heavily on charm. “It’s a mistake to equate understanding “soft power” with weakness”. After promising to stop the Conservative government’s plan to end home delivery of the mail, he now says there are “legitimate questions” about the service Canadians expect from Canada Post. Die-hard Star Wars fan Justin Trudeau made a decision to spread the “Force” on Tuesday night with 20 patients from the Children’s Hospital of Eastern Ontario. One Canadian had a very specific question: Why does he always wear the same shoes? OTTAWA-The prime minister says there’s potential for a bit of revenue from legalizing marijuana, but the federal government isn’t looking for a financial windfall. ‘Our goal as we move forward together is clear: it is to lift this burden from your shoulders, from those of your families, and communities. Association of North American Ethnic Journalists and Writers condemns any violation of human rights anywhere in the world. who has been Arrested in Iran recently. Yaghma Golrouee poet was allegedly arrested by Iran’s security officials in a raid on his house and taken to an unknown location, his wife Athena Habibi wrote on her Instagram account on December 1. Officials searched their house, she added. He is apparently kept in Ward 2-A of IRGC, . Can Dundar, editor-in-chief of Turkey’s The Daily Cumhuriyet was arrested on November 26 along with Erdem Gul, the paper’s bureau chief in the capital city of Ankara. The arrest followed a story published in Cumhuriyet about Syrian-bound Turkish intelligence trucks filled with weapons for rebel groups fighting against Syrian President Bashar al-Assad’s regime. Mr. Dundar and Mr. Gul were charged with espionage and for being members of a terrorist organization. Video footage the journalists released in May was also allegedly in violation of state security. Turkish Prime Minister Recep Tayyip Erdogan personally filed the charges against the newspaper. “This paper has engaged in acts of espionage,” he said in May. “Whomever wrote this story will pay a heavy price for this.” If found guilty, the two will face life in prison. © 2019 North American Ethnic Journalists and Writers. All Rights Reserved.